John O’Kane is a 28-year Real Estate Veteran with vast experience in residential and commercial sales. He is skilled in analyzing the realistic market value of a property and offering diverse marketing strategies to guarantee high visibility. As Investment Property Specialist, John O’Kane possesses expertise handling warehouse/industrial sales, office/retail space/ multi-family dwellings and 1031 tax exchanges. John O’Kane is a current Federal Political Coordinator appointed by the National Association of Realtors to act as a liaison with the United States 14th Congressional District. He has sat on the Long Island Board of Realtors (LIBOR) Budget & Finance Committee. 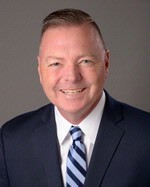 As two time past LIBOR Western Queens President, as well as current Board of Director, and as former President of the ERA Metro NY Broker Council, John O'Kane possesses a unique ability to assess and identify a client’s needs that prove to be in their best financial interest. He is professional, yet personable and approachable. In addition, he is knowledgeable in all current real estate trends, offering in-depth industry-related insight and consultation.